iMyFone LockWiper is listed in iPhone and iPad category and made available by iMyfone Technology Co., Ltd. for Windows. Unfortunately, we have not yet reviewed iMyFone LockWiper. If you would like to submit a review of this software, we encourage you to submit us something! What is iMyFone LockWiper software from iMyfone Technology Co., Ltd., what is it used for and how to use it? iMyFone LockWiper is one of the best software that you can download in your PC to crack the password of locked iPhone with simple clicks. You do not have to go through any kind of technical stuff and it will be the easiest way to remove any kind of lock on the screen of your iPhone or iPad. It is normal for iPhone users to face the situations of lost password and locked screen due to wrong password many times. In such cases, no one wants to visit a repair shop because it will be a waste of time as well as money. 1. It provides the support for disabled, locked and even broken screen of iOS devices. 2. It provides good compatibility options with latest iPhone and IOS 11. 3. Users will find it helpful to remove 4-digit and 6-digit passcode. 4. It is useful to remove touch ID and face ID locks from the screen of iOS devices. 5. The success rate is very high so it is a reliable solution to remove password from locked iPhone screens. Download and install iMyFone LockWiper safely and without concerns. iMyFone LockWiper is a software product developed by iMyfone Technology Co., Ltd. and it is listed in Communications category under iPhone and iPad. iMyFone LockWiper is licensed as Shareware which means that software product is provided as a free download to users but it may be limited in functionality or be time-limited. You may need to pay at some moment to continue using product or to use all functionalities. You can run iMyFone LockWiper on all modern Windows OS operating systems. iMyFone LockWiper was last time updated on 07.04.2019 and it has 28,269 downloads on Download.hr portal. Download and install iMyFone LockWiper safely and without concerns. 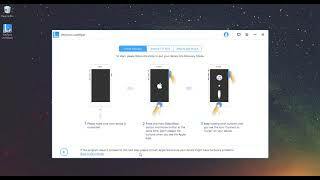 1.Remove iPhone screen lock without passcode. 2.Unlock 4-digit / 6-digit passcode, Touch ID & Face ID. What do you think about iMyFone LockWiper? Download.hr periodically updates software information of iMyFone LockWiper from the software publisher (iMyfone Technology Co., Ltd.), but some information may be slightly out-of-date or incorrect. iMyFone LockWiper version 4.2.1 for Windows was listed on Download.hr on 07.04.2019 and it is marked as Shareware. All software products that you can find on Download.hr, including iMyFone LockWiper, are either free, freeware, shareware, full version, trial, demo or open-source. You can't download any crack or serial number for iMyFone LockWiper on Download.hr. Every software that you are able to download on our site is freely downloadable and 100% legal. There is no crack, serial number, keygen, hack or activation key for iMyFone LockWiper present here nor we support any illegal way of software activation. If you like software product please consider supporting the author and buying product. If you can not afford to buy product consider the use of alternative free products. Is it safe to download and install iMyFone LockWiper? iMyFone LockWiper was checked for possible viruses by various leading antivirus software products and it is proven to be 100% clean and safe. Although, no malware, spyware or other malicious threats was found we strongly advise you to check product again before installing it on your PC. Please note that laws concerning the use of iMyFone LockWiper may vary from country to country. Please be sure that you are using iMyFone LockWiper in accordance with the law in your country. How to uninstall iMyFone LockWiper? How do I uninstall iMyFone LockWiper in Windows Vista / Windows 7 / Windows 8 / Windows 10 OS? Make sure the "iMyFone LockWiper" is highlighted and then make right click, and select Uninstall/Change. How do I uninstall iMyFone LockWiper in Windows XP? Make sure the "iMyFone LockWiper" is highlighted, then click "Remove/Uninstall." How do I uninstall iMyFone LockWiper in Windows 95, 98, Me, NT, 2000? Select "iMyFone LockWiper" and right click, then select Uninstall/Change.